ASRock first gave its hints regarding entering the graphics card market early this March. Today, ASRock officially presents its own Radeon-brand graphics cards. 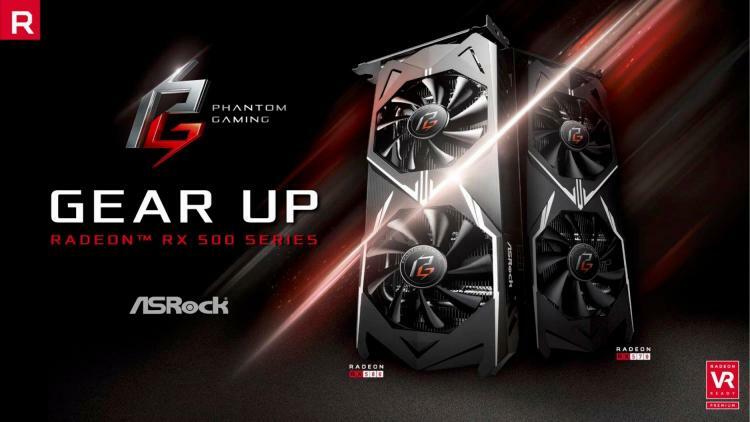 ASRock’s initial line-up consists of four Radeon RX 500 Series models: the Phantom Gaming Radeon RX550 2G, Phantom Gaming Radeon RX560 2G, Phantom Gaming X Radeon RX570 8G OC and the Phantom Gaming X Radeon RX580 8G OC as the top-of-the-line model. Watch the official launch trailer of the ASRock Phantom Gaming RX500 Graphics Card Series below. Double Ball Bearings Fan Design: Reduces friction for smoother and longer operation of up to 50000 to 100000 hours. The double ball bearings offer 30 to 40% increased lifespan compared to traditional design which produces enhanced cooling efficiency. High-Performance Composite Heat Pipes and XXL Aluminium Alloy Heatsink: Exclusive to the Phantom Gaming RX570 and RX580 graphics cards, it features high-performance composite heat pipes combined with grooved and copper powder sintered interfaces that yields 30% more cooling capacity than plain copper heat pipes. The heat pipes are then embedded into an XXL aluminium alloy heat sink with a large copper base for effective heat dissipation. 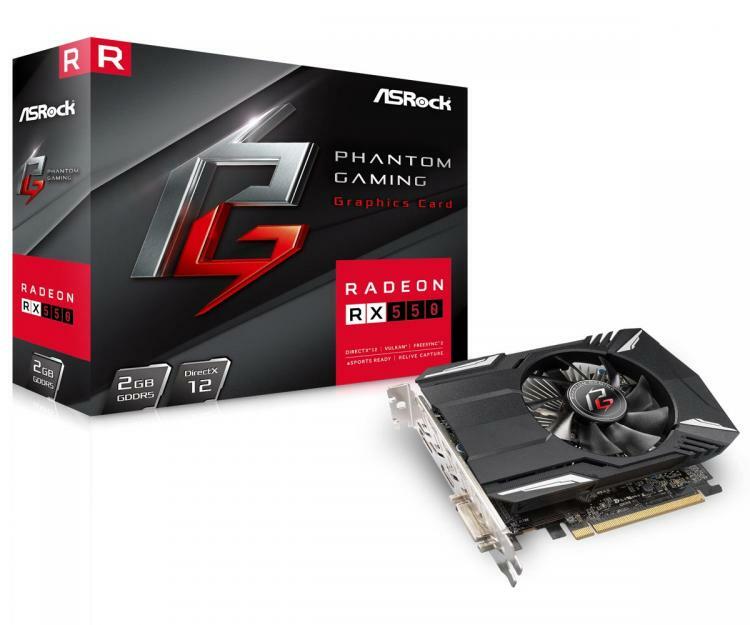 ASRock’s proprietary tweaking, overclocking and monitoring software for the Phantom Gaming RX500 Series graphics cards. It comes with a plethora of tweaking options for fan speeds, core clocks, memory clocks, memory frequency and others. Users can also choose and create profiles such as OC mode, Silent mode, and default mode. The Phantom Gaming Tweak also packs everything you need to push the ASRock Phantom Gaming graphics cards to the extremes. 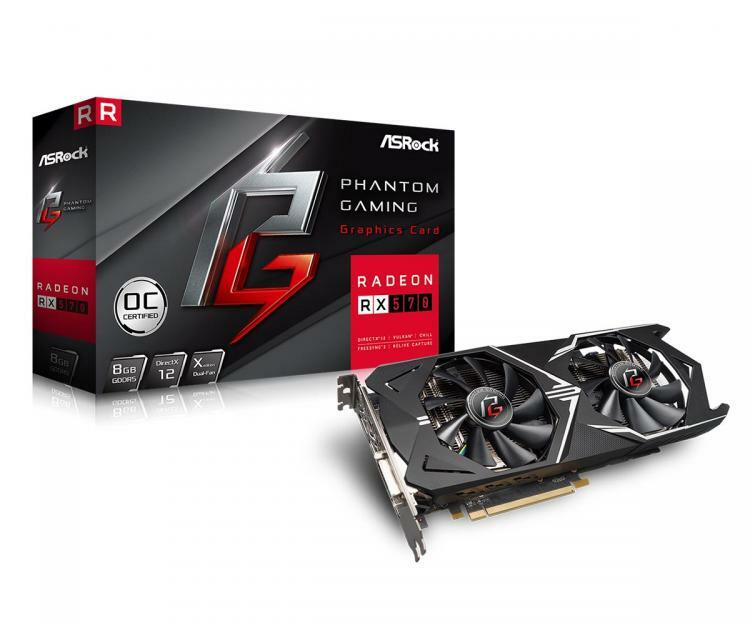 Information on the pricing and availability of the ASRock Phantom Gaming RX500 Series graphics cards not available as of this writing.